I love how subtle this nail polish is and how you can only really see it when it catches the light. It then turns from a black crème polish to sparkles of blue and purple. I've tried it over a pastel purple polish and it looks ok but it really transforms when used over black or even a navy nail polish. If you have perfect nails that aren't stained or have ridges, I envy those who do, then you could try a layer of I Juggle Men for a more natural look and the shimmer would only stand out when it hits the light, otherwise it would look like a normal clear top coat. 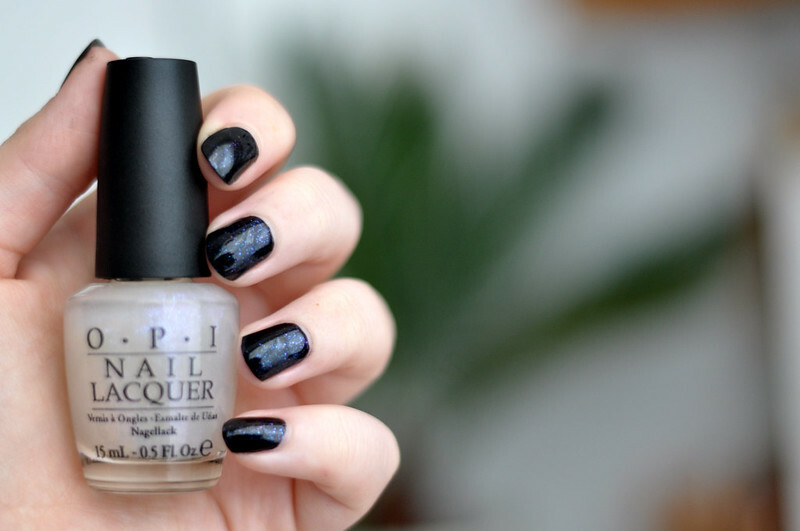 What's your favourite layering nail polish? I Juggle…Men | In the Spot-Light Pink | So Many Clowns…So Little Time | Step Right Up! Follow me on Bloglovin' // Facebook // Google+ // Instagram // Pinterest // Twitter // Tumblr.